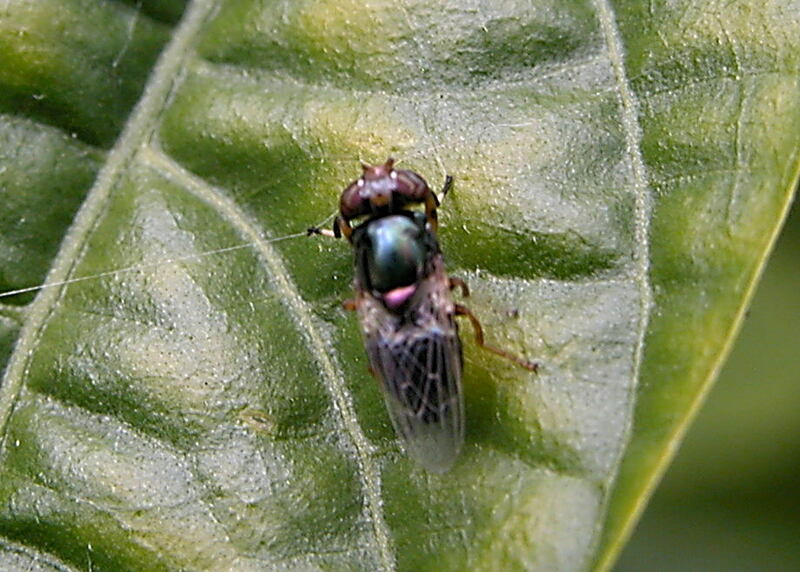 This page contains pictures and information about Green Rhiniin Flies that we found in the Brisbane area, Queensland, Australia. This Rhiniinae fly is small in size. 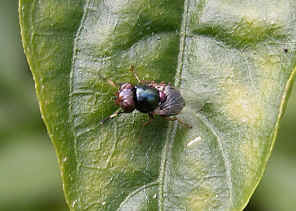 Its thorax and abdomen are metallic dark green in colour with coppery reflections. All legs are brown. Wings are smoky brown at base with veins in yellowish brown. 1. A Revision of Australian Rhiniinae (Diptera : Calliphoridae) - J. P. Dear, Aust. J. Zool., 1977, 25, 779-826.